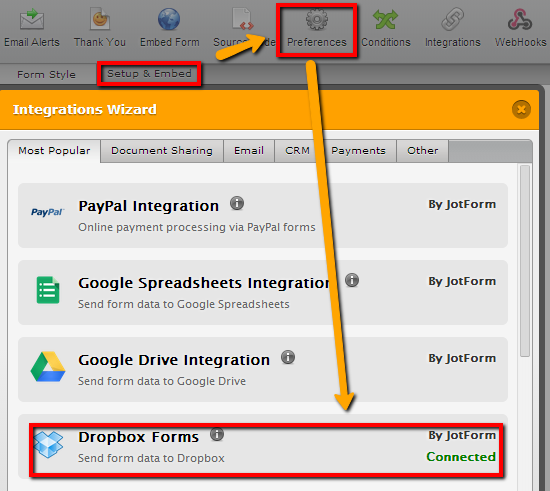 I have dropbox integration on my forms. I want to be able to choose a different folder than the root folder for submissions to be collected in. 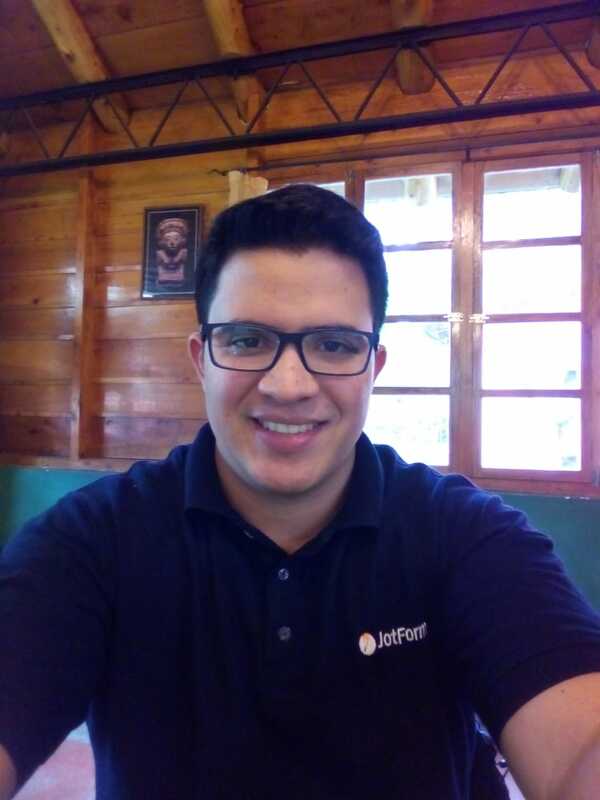 I can leave the jotform folder titled jotform but instead on the jotform folder being located directly in the root I'd like to put in another folder making the jotform folder a sub-folder. 1. Just click on "Manage Integration"
2. 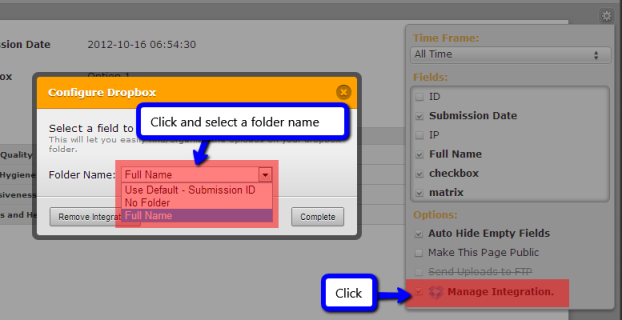 Then select a Folder Name by clicking on the Folder Name dropdown field. 3. Click Complete to save your changes. This location for managing the DropBox integration does not seem to work anymore. Can you possibly post up the new location? The link in the submissions area currently just kicks me over to the editor with no hint as to where to look for the configure options. Hi, when you log in into your account, click on MY FORMS, then select the form, and click on Edit Form. Then click on Setup&Embed, Preferences, and click on the Dropbox integration.